Come and see our new Markilux display in our Hove showroom. 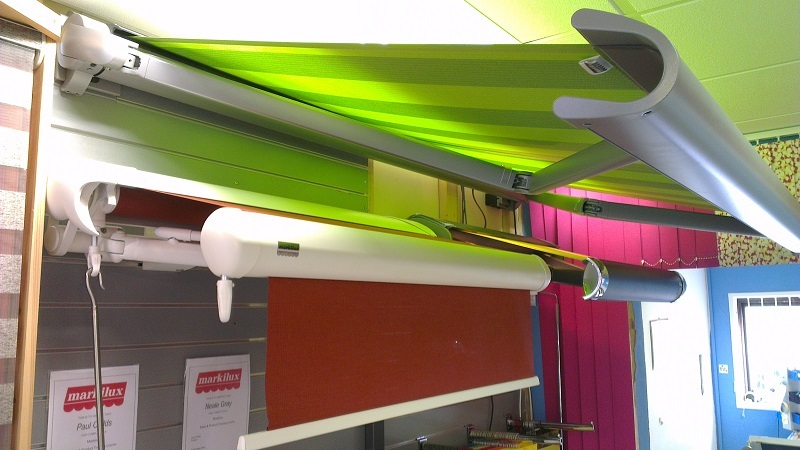 We have three working awnings and the full Markilux fabric collection for you to see. Motorised Markilux 990 – the Markilux 990 is our best selling awning, it is a compact fully cassetted awning available up to 5m wide with a 3m projection. Available with wind and sun sensors if required and built to last it is an excellent domestic awning. Motorised Markilux 6000 – the Red Dot Design Award winning Markilux 6000 is Markilux’s flagship model, it is available with integrated lighting and heaters, Markilux’s Silentec motor and Shadeplus drop valance. You can even plug you ipod in with Markilux’s concertronic. 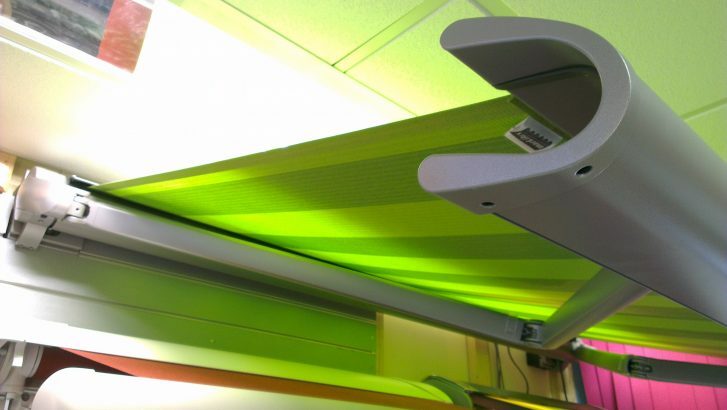 Manual Markilux 1500 – winner of the IF Design Award for excellent design the Markilux 1500 is a semi-cassette awning with gas piston tensioned arms. Our show awning is fitted with Markilux’s Shadeplus drop valance. Awnings, Brighton, featured, Markilux, Showroom, Sussex conservatory awning, drop valance, havana brown, makilux 5010, markilux, markilux 1600, markilux 730, markilux 8800 conservatory awning, markilux 990, markilux awning, new showroom, shadeplus, worthing. permalink.